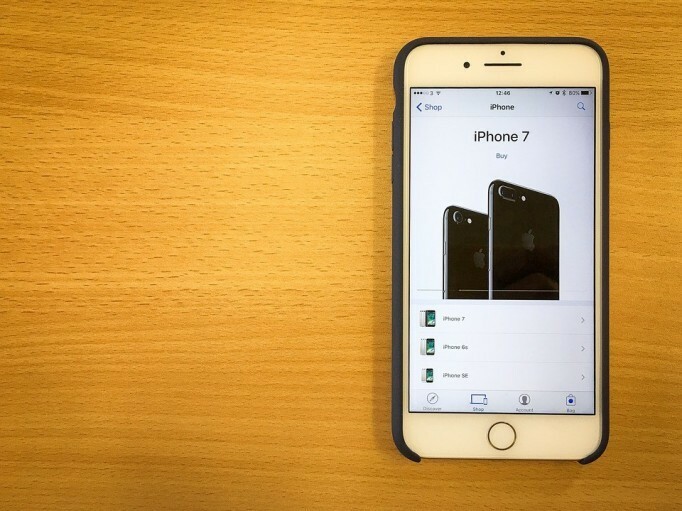 In September, we had new iPhone 7 and 7 Plus models manufactured by Apple. The apple products are always useful for the customers and have solid build quality. But what else they had included in the new iPhone 7 Plus version? Let’s check this out by reviewing the all new iPhone 7 Plus. In accordance to the previous model releases, the plus in the name means that we have a bigger screen size than the model without plus in the name. But this time, there is plus size along with a dual lens camera and a bigger battery. So, technically a true plus version of iPhone 7. The display screen is amazing in iPhone 7 plus. It is nice and brighter. It is easier to use the device in bright daylight. There was a problem in previous iPhone models that they were not easy to use in daylight but this time, they are easy to use. The speakers on the phone are too loud and clear. The voice quality is impressive. The screen size of iPhone 7 Plus is 5.5 inches. The big screen may become an issue for regular users of Apple products. Because they are used to of using small screen devices. But once you start using it, you will forget all the previous small screen models. As the screen is perfect to watch videos and working. The both iPhone 7 and Plus models have same A10 chipset. But when it comes to performance, there is an edge to 7 Plus in terms of performance. The weight of 7 Plus is 188g. The device is 7.3 mm thick which makes it super slim as compared with other smartphones. There is 3GB of RAM inside the device along with 32GB of memory. There are three different storage options available 32, 128 and 256 GB. The camera in iPhone 7 Plus is able to capture photos in sunlight as well as in low lighting conditions. The pictures came out to be supreme in quality and detailing in the pictures is just amazing. There are two lenses in the back of the device which make camera app to take low light photos with an ease. The aperture f/1.8 is much better than the f/2.2 lens and the optical image stabilization in the camera app make things clear and visible without any issue. There are different shooting modes available from which you can choose any to capture amazing pictures. The video camera is capable of shooting 2160p videos at 30 frames per second. You can record 4k videos. The front facing camera is 7 megapixels. The front camera is also capable of recording 1080p videos with HDR and panorama support available. The last but not the least thing to mention is the battery timing of iPhone 7 Plus. There is a 2900mAh battery inside the device which can give you full day usage. The talk time of 3G is 21 hours according to the company. The battery is much improved as compared with their old variants. So, it means that a perfect camera, perfect screen, and better battery timing are the reasons why you should buy iPhone 7 Plus as your daily driver.